John asked his best friend, Louis Comollo, for advice. He said, “Make a novena, write a letter to my uncle priest, and obey blindly.” On the last day of the novena, John received the letter from Louis’ uncle. He wrote, “All things considered, I would advise your companion not to enter the monastery. Let him don the clerical habit and have no fear of losing his vocation. With recollection and piety he will overcome all obstacles.” To don the clerical habit meant to enter the seminary. John was still not at peace, and another friend suggested him to consult Saint Joseph Cafasso, who was a young twenty three years old in Turin. John accepted the advice, and told Father Cafasso all his difficulties. Father Cafasso said, “Finish your year of rhetoric and then enter the seminary. Divine providence will let you know what you should do. And don’t worry about money: someone will provide.” With this advice from a holy priest, John decided to enter the seminary. This entry was posted in St. John Bosco on July 8, 2015 by fatheranthonyho. When the young John Bosco was studying in Chieri he realized there were three kinds of students: the good, the not so good not so bad, and the bad. He would avoid the bad students and would keep a distance from them. When necessary or out of courtesy, he would interact with the not so good and not so bad students. He would befriend only the good students. However, the bad students were also the ones who had the most difficulties in their school works. When they saw how well John was doing in school, they started to approach him for help. John would lend them his workbook or read it to them. But that displeased the teacher, for it encouraged the students to rely on John and not to work hard. He forbade John to lend them his workbook. 1. No actions and no words unbecoming of a Christian. 2. Fulfill one’s scholastic and religious duties. A the age of eighteen, while continuing to be the leader of his army of friends, John also formed a smaller circle of close friends. John would helped the Jewish boys in Chieri to do their Saturday assignments, so that they could keep the Sabbath and not get bad marks. He became very friendly with the Jewish boy, James Levi. When James was experiencing a crisis, John lent him a catechism book. Eventually James became a Catholic and was John’s affectionate friend for life. Due to poverty, John often suffered from hunger and his friends would gave him food. Joseph Blanchard would brought apple and chestnuts from home and gave them to John. Many years later, John would continue to treat Joseph with great love and respect as one of his early benefactors. The young St. John Bosco was treated badly by an elderly teacher in Castelnuovo, Italy, who harboured strong prejudice against people from the town of Becchi. The school was in such chaos that John was convinced he was wasting his time there. After discussing the matter with his mother, John spent his time there learning to wield hammer and file and to work at the forge. The trades he learned in Castelnuovo would one day come in handy for opening workshops for the poor boys of Turin. John and his mother, Margaret, decided he would study at Chieri the next year, but this was going to take money he didn’t yet have. In the summer of 1831, during a celebration in the village of Montafia, a greased pole was erected, and prizes, among them a purse of 20 lire, were offered. Some young men tried to climb the pole but were exhausted halfway and had to slide down empty-handed. John, however, climbed slowly and calmly. From time to time he would sit on his heels and recover his breath. The people shouted impatiently, but John took no notice of them and kept climbing slowly until he reached the top and got the purse with the 20 lire. People gave him what they could: eggs, maize, wheat, etc. One woman went to Castelnuovo to see the parish priest, Father Dassano. She told him it was a shame not to help John, and to compel him to go begging. The parish priest collected a small sum of money and sent it to Margaret. He also told Margaret about Lucy Matta, a widow who was about to settle in Chieri, who would let John stay at her home. She had a 12-year-old son whose bad behaviour had caused her grief. During his stay at Chieri, John converted the boy by his good example and his counsels. John, now 16, was studying the equivalent of Grade 6 with students who were 11 or 12. John was so hardworking that in less than two months he was promoted to Grade 7, where he did much better than other students. After two months he was promoted to Grade 8. One day the Latin teacher was explaining Cornelius Nepos’s life of Agesilaus. John had forgotten to take his Latin book to school. To avoid being noticed by the teacher, he kept his grammar book open in front of him. His classmates noticed. One began nudging his neighbour; another started to giggle. The teacher inquired what was happening. Everyone was looking at John. The teacher, therefore, asked John to read the Latin text of Cornelius Nepos and to repeat the explanation. John stood up and, without the text book, managed to repeat from memory both the Latin text and the explanation. The class exploded in applause. Fearing a loss of discipline, the furious teacher attempted to hit John. But when the teacher was told by another student the reason for the disorder, he was surprised and asked John to recite two more paragraphs. Then he said, “I forgive you because of your wonderful memory. You are a fortunate person. See that you always make use of it for good.”? Father Calosso advocated frequent confession and Communion and taught John how to do a short spiritual reading. John would go and serve his Mass as often as possible. Father Calosso had a special devotion to Our Lady under the title “Mary, Help of Christians.” He revived a Sodality of Mary, Help of Christians, in Bruino, and had an altar dedicated in the parish church under this title. 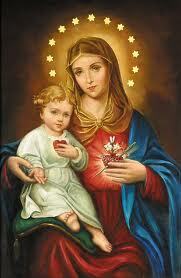 It is possible that St. John Bosco heard this title of Our Lady for the first time from Father Calosso. One morning in November 1830, someone came running telling John that Father Calosso had suddenly fallen ill. John ran as fast as he could to Father Calosso, who had suffered a heart attack. Father Calosso recognized John but could not speak. He pointed to the key of a drawer, indicating that it was for John. After two days of agony, Father Calosso died. In the drawer they found 6,000 lire. Some of those who assisted Father Calosso had no doubt that the money was intended for John, but others said that the signs of a dying man did not mean much. Only a regular will gave undisputed right to anything. John prayed a great deal for the soul of Father Calosso; he thought about him and dreamed of him. At school, John, now 15, found himself studying with boys of 10 or 11. With the help of the teacher, Father Emmanuel Virano, he was able to make good progress in Latin, but in April Father Virano became the parish priest of Mondonio. He had to leave the school in the hands of a 75-year-old teacher who had a strong prejudice against people from Becchi. John, a boy from Becchi, suffered great humiliation from the new teacher and could not make much progress in his studies. John had come to know two wonderful priests, Father Calosso and Father Virano, but other priests were quite different. John wrote, “I saw several good priests practising the sacred ministry, but I could not establish a close relationship with any of them. “Often I would meet our parish priest and his assistant on the road. I would greet them from a distance and bow to them as they passed. In their distant and courteous manner they would return my greeting and go on their way. “I cried often, thinking as well as saying to others, ‘If I ever become a priest, I’ll do just the contrary; I’ll befriend the students, talk to them kindly, and help and advise them as needed. If I could only have a talk with my pastor, how happy I would be. I had this great comfort with Father Calosso; will I ever enjoy it again?'”? Saint John Bosco made his First Communion on Easter Sunday (March 26), 1826. His religious instruction had come almost entirely from his mother, Margaret. During Lent, she brought little John to catechism classes daily and brought him to Confession three times. She said, “My John, God has a great gift in store for you; be sure to be well prepared, make a thorough confession, omit nothing. Confess everything, repent, and promise God to do better in the future.” Margaret also helped John to pray and read goo book at home. The winter after First Communion was a difficult one for John. His grandmother had died earlier that year, and Anthony, now eighteen, was more resistance to John’s studying. Towards the end of October, Margaret wanted to send John to a school to study Latin. Anthony reacted strongly and said, “Why Latin? What need do we have of Latin in the house? All we need is work.” Anthony opposed to the idea of John becoming priest. He said, “To make a priest, it takes more than ten thousand lire.” A large sum for a peasant family in those days. One day, Anthony declared to Margaret and Joseph, “Enough is enough. I’ll put an end to this schooling thing. I have grown big and strong without ever seeing any books.” Overcome by anger, John said, “Of course: even our donkey has never gone to school, and he is bigger and stronger than you are.” Anthony was enraged, and John barely escaped the blows and slaps of Anthony. Margaret was terribly distressed and John was full of tears. Tension was building up in the family in the next few days. Finally, one evening, Anthony was enraged because of a book John kept by his plate. John was thoroughly beaten up by his brother. The next morning, Margaret made a very difficult decision. She said to John, “It is better you go away from home for some time.” John left home in February 1827 and lived among Margaret’s friends for a while. But the relationship between Anthony and John did not improve, and in February 1828, Margaret sent John to a wealthy farmer, Louis Moglia to ask for work on his farm. John walked five and a half miles to the Moglia farm. Mr. Moglia told John to go home, for it was winter and he would not need help until the end of March. John, however, sat down on the snow and broke into tears. The Moglias felt sorry for John and hired him for room and board. After some time, because John worked so well, they paid him fifteen lire each year. John was very hardworking and devout. He knelt beside the bed to pray morning and evening prayers and recited the rosary with the family. At night time John would light a candle to read some books. He went to early Mass on Sunday morning in order to make Confession and receive Holy Communion. In speaking of Saint John Bosco, Pope Pius XI said, “In his life the supernatural almost became the natural and the extraordinary ordinary.” Saint John Bosco worked miracles, read people’s hearts, and had prophetic dreams. He had his first prophetic dream at the age of nine. John saw himself in a large playing field with a crowd of children. Some were laughing, others were playing and not a few were cursing. John Bosco was so shocked at their language that he jumped into their midst, swinging wildly and shouting at them to stop. Then a man in white appeared and told John to place himself as leader over those boys. He said, “You will have to win these friends of yours not with blows, but with gentleness and kindness. So begin right now to show them that sin is ugly and virtue beautiful.” John Bosco replied that he was only a boy and unable to talk to these youngsters about religion. At that moment the fighting, shouting and cursing stopped and the crowd of boys gathered about the man. The man promised that he would give John a teacher, and he said, ” ‘I am the Son of her whom your mother has taught you to greet three times a day.” John saw a beautiful lady beside the man. All the children had vanished. In their place there were many animals: goats, dogs, cats, bears and a variety of others. The lady said, “This is your field, this is where you must work. Make yourself humble, steadfast, and strong. And what you will see happen to these animals you will have to do for my children.” The wild animals had turned into as many lambs, gently gamboling lambs, bleating a welcome for that Lady and her Son. After the dream, the young John Bosco started working for young boys. He began to read aloud to his friends some of the books he had borrowed from a priest. Before and after the reading, all joined in making the sign of the cross and reciting the Hail Mary. John realized that reading stories was good for youngsters during winter time, but he had to do something different during the warm season. He resolved to learn the secrets of tightrope walking and magic tricks by attending the shows. In order to raise money for the tickets of these shows, John caught little birds and sold them. He also wove little baskets and made bird cages and sold them to passing vendors. He collected herbs and seeds and took them to a chemist. People enjoyed watching the performances of John Bosco. But he is a special performer. Before the final item, he would pull out the rosary and invite all to pray. At other times he would repeat the sermon the priest had preached in the morning at Mass. As a child, St. John Bosco lived with his family in a small area known as Becchi. His mother, Margaret, served the sick in the neighbourhood, welcomed beggars, and supported the poor. One of the neighbours, Cecco, had once been rich but had squandered all his wealth. He had become a laughingstock. Cecco was too ashamed to beg and often went hungry. When it was dark, Margaret would leave a small pot of hot soup on the window sill, and under the cover of darkness Cecco would come and take it. There was a boy, Secondo Matta, who worked at a stable. Each morning he received a chunk of rough black bread from his master and would lead the cows out to pasture. John Bosco also led his cows to pasture with a chunk of soft white bread. In those days, white bread was a luxury. Secondo believed him, and for three seasons this became a daily routine. Only in later years did Secondo realize that John Bosco had done it out of charity. Sometimes small groups of outlaws would knock at Margaret’s door. All they wanted was some warm soup and, perhaps, a hidden corner on the haystack. Police would also come to the house, and Margaret would welcomed them as well. When the police came, the outlaws on the hayloft would quietly slip away. The police knew what was going on, but out of respect for Margaret they would turn a blind eye and would never try to arrest anyone in her house. Margaret told John that the soldiers of the democratic regime at one time had been after those who had remained faithful to the king, and now it was the other way about: the king’s police were after the democrats. Margaret got used to these changes in politics, and she would give a bowl of soup and a slice of bread to whoever knocked at her door, without asking about their political affiliation. At that time family rosary was a regular evening prayer for all Christians. Little John was fond of birds. He once took a baby blackbird from its nest and reared it. He kept it in a cage and taught it to whistle. Whenever the bird saw John, it would greet him and jump about happily. One morning there was no whistling. A cat had broken into the cage and devoured the bird. John was sad for many days, but at last he stopped to reflect on the vanity of worldly things, and he resolved he would never again attach his heart to earthly things. ?